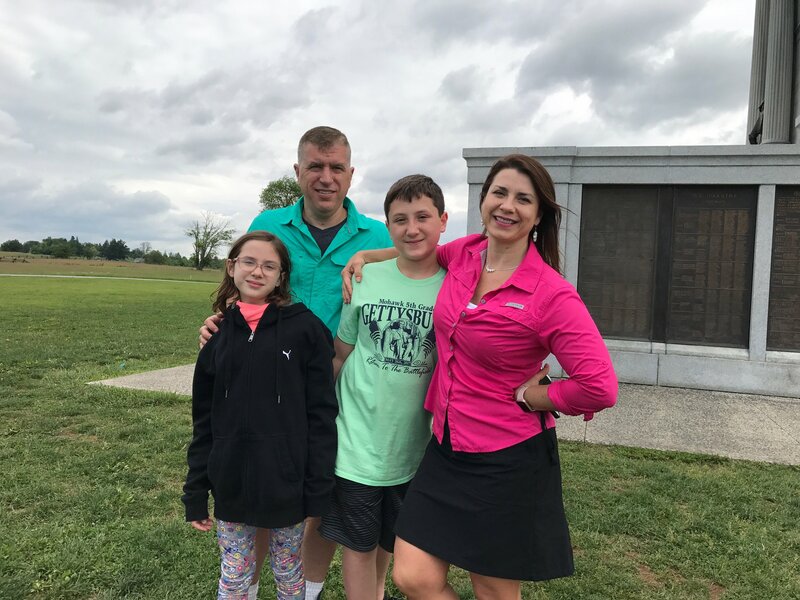 On Friday, May 26th, Stephanie and I took a one-day bus trip to Gettysburg with Logan and Lauryn and their fifth grade class. I know I’ve been there twice in my life (as my mother pointed out). Once as a child and once with my dad when we were driving back from a facilitation assignment together. I don’t remember much from either trip. This one was different…and not just because the bus pulled out of the school at 1:00 a.m. and returned back to the school at 11:30 p.m. 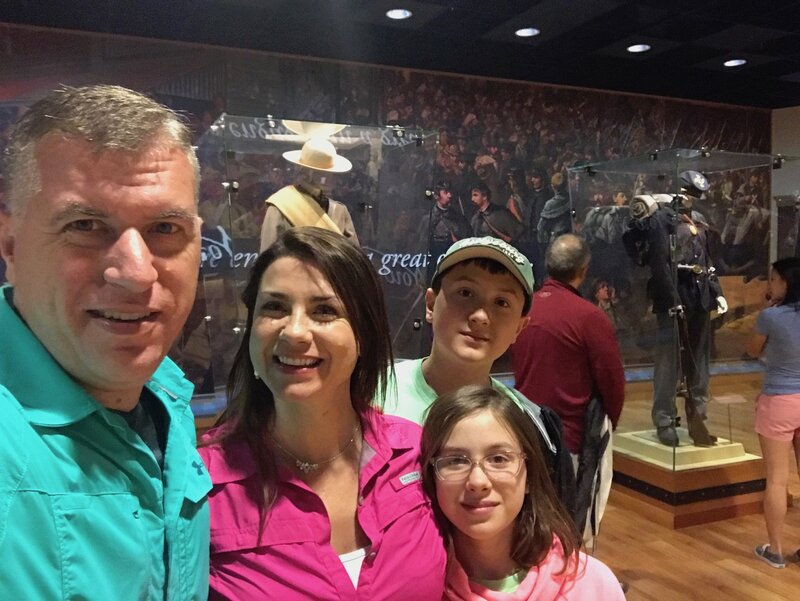 The trip was memorable for many reasons…of which “Revisiting History” was one of them. I don’t do it intentionally, but I look for Learning Lessons and how Compression Planning impacts different experiences in my life. It came up last week when I was putting together another Design for a new client. While I understand NOT wanting to relive history, I know you can’t completely ignore it. And this trip to Gettysburg helped me come to clarity on something I’ve personally struggled with for years. 1. Experiences are incredibly important. A lot of effort is needed to make something like this one-day trip a success. Many people over the years reflect on where they are and tie success back to a Compression Planning session held years (and in some cases, decades) ago. Compression Planning in the hands of good leaders have caused some significant things to happen across our country. It’s humbling to be a part of that. Lesson Learned: Planning can be cyclical. This trip has been happening for decades. When you have cyclical events – those that happen more than once – keep the output of your session and update it versus start from scratch. Also, debrief your experiences when they are cyclical so you can embed continuous improvement into your efforts. 2. It’s one thing to study something in a book. It’s another to experience it first hand. Nothing beats context and the tours through the battleground, through the cemetery, through a couple of different homes really helped bring the story alive. Also, being where Lincoln gave the Gettysburg address was really something special. It was a bit surreal. Lesson Learned: As much as you can, make your planning efforts real through the use of artifacts and other things to make your topic come to life. It is one thing to “conceptualize” and something completely different when you get to experience your content. Being on site and going through the experience is the absolute ideal way of validating your topic. 3. We moved to a new part of Western Pennsylvania one year ago. There is a road we travel almost every day that has a sign on it that I never paid any attention to…until last week. It said “Battery B Memorial Highway.” We learned about Battery B and the importance of that Civil War Unit while on our trip to Gettysburg. I’m embarrassed to even think of how many times I’ve driving by that memorial sign and never paid any attention to it. There are “current day connects” we all have that are intimately tied to different parts of our history – both personal and organizational. Lesson Learned: Once you focus on something, you start to see things differently. It takes focus though and that is what the output of a Compression Planning session often delivers. 4. The importance of timing in your sessions. The day was incredibly organized. We had eight items on the itinerary and they were all scheduled. There is no way we could have gotten them all in if someone hadn’t been paying attention to the timing of the day. The kid’s teacher did an amazing job of keeping the “bus on schedule.” It reinforces my need for timing my Compression Planning sessions. If you haven’t used my timing template, you can download it here. 5. It was a brutal trip. I’m getting old. My body wasn’t very happy with the confines of traveling through the night on a bus. But because of that discomfort, I got to spend some real quality time with Logan. We talked and shared in ways we haven’t been able to because we had about 8-10 hours sitting next to each other on that bus! We played games together. 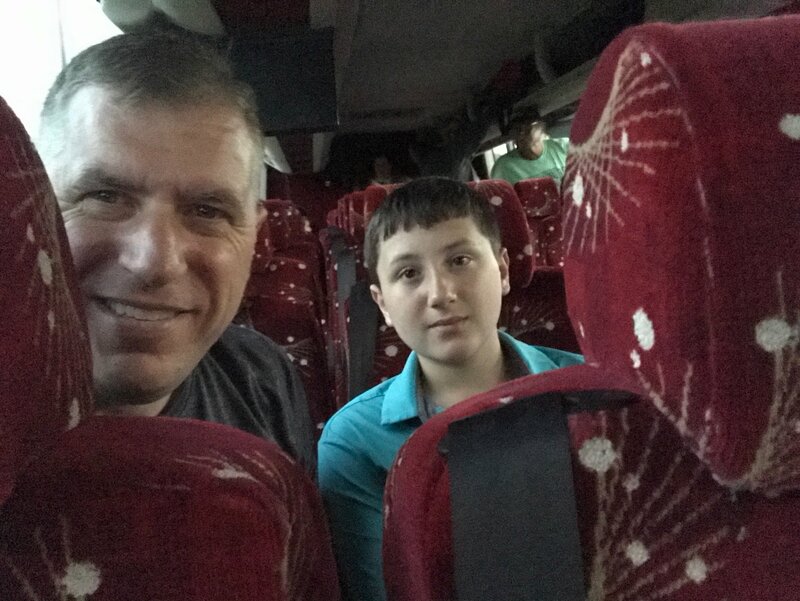 I don’t think the smile ever left his face the entire trip (other than for this picture!). Lesson Learned: The execution of planning may be difficult in the short-term…but the payoff can span decades. I guess the trick with this Non-Purpose in your Compression Planning sessions is to recognize that while history is important, it shouldn’t get in the way of moving forward. Lots of groups want to dwell on it and use it as an excuse to NOT move an idea/concept forward. Learn from it, appreciate it for what is was…but know that it doesn’t have to define your current and future planning efforts.